Not a fan of fast food outlets and for this reason have been refraining from trying this place for quite a while. 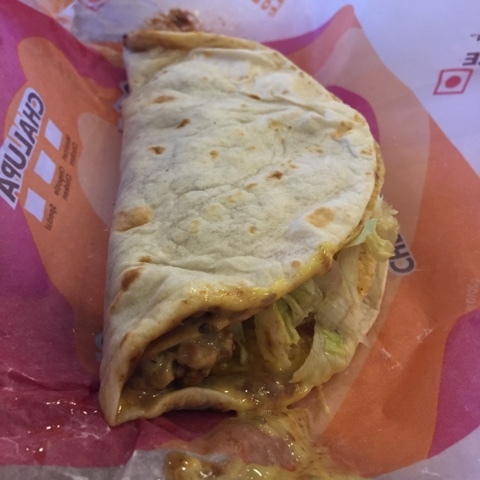 However, as a foodie I felt it would be criminal to not try a popular joint like Taco Bell. Walked in earlier today and was looking to binge on a good chicken meal. Order the meal combo which included - a chicken taco, a chicken nachos and a bottomless soft drink. This is among the few places that has bottomless soft drinks being provided to all its customers - the concept is impressive! 1. 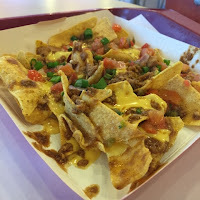 The chicken nachos - taste quite ordinary. Definitely way off the benchmark for quality nachos. 2. Chicken tacos - taste pretty good; especially considering the fast food concept. 3. Soft drinks - was diluted and does not really do justice to their system of bottomless soft drinks. Food's served pretty quick and the staff cleared the tables in no time. The interiors are pretty good for a fast food joint. Seating is regular and could be made more comfortable.